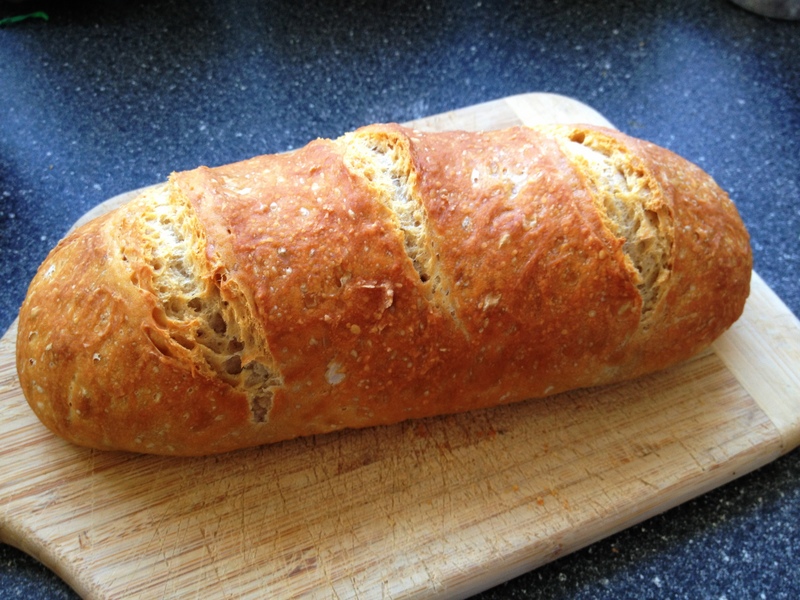 This entry was posted in Baking/Cooking, Celebrating, Living, Making and tagged baking, bread, frugal, no-knead. Oh, I am going to try this. Even the picture is delicious! mydearbakes — it IS brilliant! I was thrilled when I found it and even more thrilled when I learned I could add the whole wheat flour. Since it’s impossible NOT to eat this often, I figure we might as well try to make it better for us. 🙂 Enjoy! And thanks for reading! I can’t wait to check out your blog, too! Mr. Jim, my personal chef and baker, made this bread yesterday and we polished it off this morning. What a great recipe that you tweaked and made perfect. Thank you for sharing this and your other posts oncraftingalife.com — inspirational, motivational and perhaps above all a reality check on what it really means to live life. I enjoy reading and giving thought to your words. Warm regards. Thanks so much for your kind words! I’m glad you enjoy the blog, and I value the encouragement. It’s been super hard to find time to write between the new full-time job, the new house, and of course the two small boys, but I do so enjoy the space to look at things from a different perspective.